Our project is an extended work on the blooming Computer Vision on localization of relevant objects. We implement a real-time system capable of accounting for different road assets like traffic signs,potholes,lanes,zebra lines and vehicles . 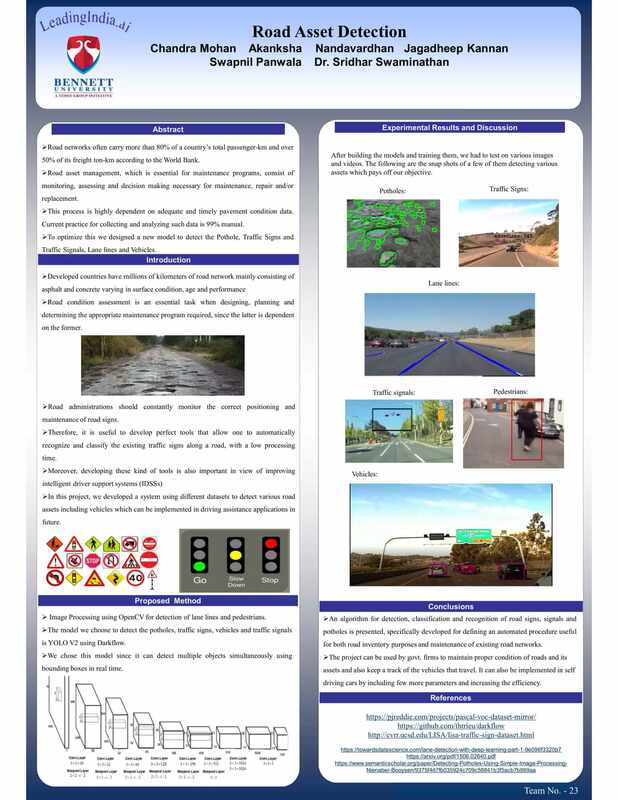 We have used the YOLO model for this purpose.We used this model as they have superior localization and classification in addition to easier modification of layers,via transfer learning.We further seek to implement a fully functional real time system on Indian Roads.